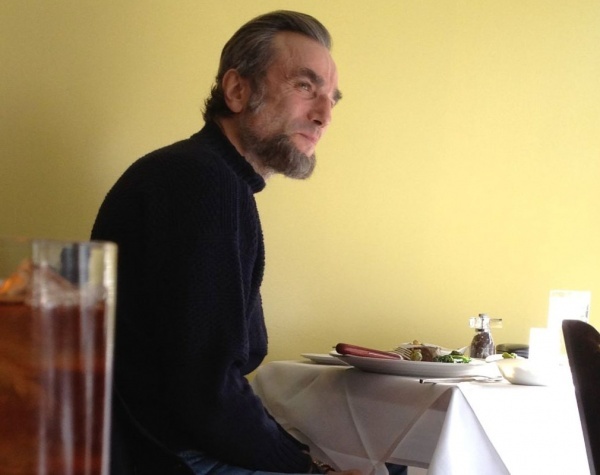 Steven Spielberg is shooting his long gestating Abraham Lincoln bio-pic right now, and Daniel Day Lewis has been spotted out and about at some restaurants rocking the iconic President’s facial hair. So while he isn’t in costume or full makeup, we can extrapolate from this what Day Lewis’ Lincoln will look like, and my mind’s eye is giving me a pretty awesome image. The film, directed by Spielberg and written by John Logan (Hugo, Aviator, Gladiator), also stars Joseph Gordon-Levett as Robert Todd Lincoln, Sally Field as Mary Todd Lincoln, and Jared Harris as Ulysess S Grant. No official release date has been set, but expect to hear a lot about this one late next year Just as his War Horse and Tin Tin are expected to be a major Oscar player this year, Spielberg’s Lincoln is expected to be a player next year. Lincoln hits theaters late 2012. We’ll keep you updated as the story develops. Comments for Here’s A Peek At Spielberg’s “Lincoln” are now closed.